Every year, millions of sick days are taken because of back or neck problems. Long term illnesses cost businesses £3 billions a year. Companies using physiotherapy as prevention and solution have 35% less sickness absence than companies who don’t have a program. Occupational Health & Occupational Physiotherapy London: Onsite Physiotherapy, Osteopathy, Pilates class and massage at work for company’s employees. Why Choose London Home Visit Physiotherapy? We are the leading physiotherapy practice in London providing on site treatments for some of the most well known companies. We offer a wide range of occupational health services to fit your company needs. Please enquire on 0207 125 0262 / 0782 455 3765 for a full range of our services. Prevention is key to manage health related absenteeism, if you can assess the problem early enough, we are able to significantly reduce or eliminate the sick leave length. If prevention is no longer an option, then physiotherapy is the fastest way to get your staff back to work. Why Offering Corporate physiotherapy and massages at work for your employees? 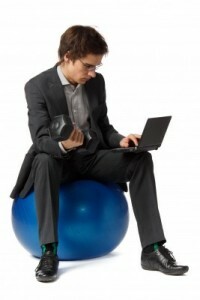 Musculoskeletal problems are the main cause of absenteeism in the corporate world. Managing sickness absence has become a priority within many large companies in order to avoid massive losses related to sickness days. A well-designed and readily efficient physiotherapy program is the most efficient, fastest way to stop absenteeism and reduce costs. Returning to work after an injury is costly because the productivity is greatly reduced. If not properly treated there is also a chance of relapsing. Physiotherapy will get your staff back to work in a fast and efficient way. Why offering work station assessment for London Businesses? Poor workstation design is responsible for many work related injuries. Staff work long hours in front of computer or with repetitive movements with a lot of stress. Corrective ergonomic will prevent work related injuries from arising and help your company to comply with health & safety regulations at the same time. London Home Visit Physiotherapy also offer services in other business related areas such as products launches, consulting and training, corporate lectures and media launches.